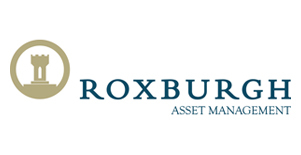 Although Roxburgh Asset Management is a relatively young business within the Roxburgh Group, the Roxburgh Group has been in existence for more than 29 years. The Roxburgh Board of Directors has in excess of 160 years combined experience in the provision of financial services to clients in South Africa. Russell is an independent CERTIFIED FINANCIAL PLANNER® practitioner, also known as a CFP® practitioner and has been practicing since 1 August 1990. The CFP® designation is the highest professional designation one can achieve within financial planning. Russell is a member of the professional body of financial planning, the Financial Planning Institute of South Africa (FPI). He joined Roxburgh Trust in 2003 as a director and full partner. Russell believes in implementing a holistic approach towards Lifetime Financial Planning and when providing financial guidance. This approach involves a process that evaluates the client’s financial needs, objectives and desires in all areas of life and he makes use of the acclaimed Spotlight analysis software to provide comprehensive financial planning reports. Russell takes on client portfolios and wealth management with extreme personal interest and attention to detail. He has a personal interest in wealth and asset management and the market factors affecting his clients’ portfolios. Pieter Norval studied law at the University of the Orange Free State and is also an admitted advocate of the High Court of South Africa. He started his career in the financial services industry as a legal advisor with Old Mutual where he specialised in wills and trusts. Pieter founded a small financial services company, Joshua House (PTY) Ltd in 1995 and after four years of successful independent financial planning he joined Roxburgh Trust as a director and shareholder in January 1999. Clinton gained a Bachelor of Veterinary Science in 1985 from the University of Pretoria, and was a successful veterinary practitioner in private practice until 1999. He successfully completed a Franchise Development Program with Liberty Life in 2000, which gave him entrance into the fascinating world of personal finance and wealth management. Clinton joined Roxburgh Trust in 2001 as an Associate Financial Planner and holds a Certificate in Financial Planning from the Milpark Business School. He takes tremendous personal interest in his client’s financial affairs and pays meticulous attention to their personal portfolios and wealth management. Clinton has a special interest in asset management and the market factors affecting his clients’ portfolios. In his spare time, Clinton finds relaxation in cycling and playing golf. He is an avid reader of most literary subjects, with however a special interest in history, politics and philosophy. Over and above that, his 3 children keep him very busy and out of trouble. Glen is an independent CERTIFIED FINANCIAL PLANNER® practitioner, also known as a CFP® practitioner, and has been practicing since 1996. He has 18 years of Financial Services experience and joined Roxburgh Trust in 2006. In September 2011 Glen graduated from the Wits Business School’s Certificate Programme in Leadership Development. After hours Glen enjoys cycling, watching sport, reading, gardening and DIY at home. Rob Tippet is an independent CERTIFIED FINANCIAL PLANNER® practitioner, also known as a CFP® practitioner, and has been practicing since April 1983 (over 30 years). He gained a Diploma in Financial Planning from Liberty Life (top of the class) and is also a member of the professional body of financial planning, the Financial Planning Institute of South Africa (FPI). Rob started his career at Liberty Life in 1983 and left the company to become the co-founder of an independent firm called HTW Financial Services in 1991. He joined Roxburgh Trust in 2003 as a director and shareholder and apart from his financial planning duties; he also holds the position of Financial Director. Rob uses the holistic concept of Lifetime Financial Planning to provide advice, a process that uses the client’s financial needs, objectives and desires in all areas of life. In addition he makes use of the acclaimed Spotlight analysis software to provide comprehensive financial planning reports. Colin is a CERTIFIED FINANCIAL PLANNER® practitioner, also known as a CFP® practitioner and has experience in the field of financial planning, investment and asset management since 1992. He joined his late father in a successful financial planning practice in 1992, thereafter joining Roxburgh Trust as a Shareholder and Director in 2002. Colin attained a post graduate Certified Financial Planning qualification from the University of Orange Free State in 2001 as well as a post graduate diploma in Investment analysis and Portfolio management from the University of Johannesburg in 2007. Acquire a greater understanding of the workings of the financial markets by means of education awareness. Duncan holds a BComm in Financial Accounting from Stellenbosch University, a BCTA from Rand Afrikaans University, and qualified as a Certified Financial Planning Practioner® at the University of the Free State. He has been working in financial services for 12 years, and joined Roxburgh Trust in 2014. He has worked in large corporates and small businesses, with this diverse experience giving him deep insight and understanding of the wide range of products in the marketplace. His well-established platform of knowledge positions him to offer well-rounded and insightful advice to his clients. Duncan is passionate about helping his clients create wealth and financial stability, making sure that they understand their own products and investments and enjoy the pace of mind that comes with a financial plan that has financial freedom as its end goal.